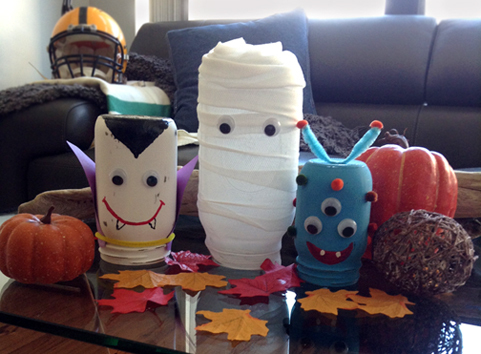 Turn your mason jars into "monster" jars for a totally adorable Halloween display. 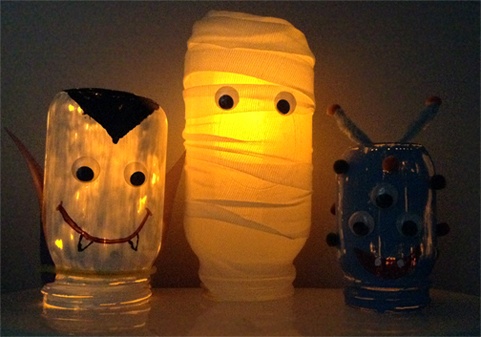 They may not be scary, but they'll still draw a crowd with their corky look and pleasant glow. Clean your mason jars (unless they are new). Rubbing alcohol will help get rid of residues. Paint the jars with the acrylic paint (would recommend 1 - 2 coats, but be careful not to use too much or the paint won't be transparent). Leave to dry. Spray the jars with the sealer (1 coat). Leave to try. Now you can accessorize! 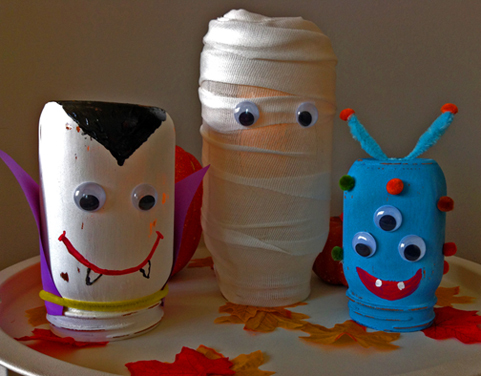 Please remember this craft is intended for adults only and is not suitable for young children due to choking hazards.